Aretha Franklin’s name does not appear on the writing credits to “Do Right Woman, Do Right Man,” but as with so many songs she sang: It’s hers. No knock on the great songwriters (who also penned “Dark End of the Street”), but no singer goes in to “Do Right Woman” to cover Chips Moman and Dan Penn. They aim to pay homage to the Queen of Soul, dead today at 76. As I often say with iconic singers, the best way to pay homage to Aretha’s music is not to try to sing like Aretha. You’re not going to out-belt her, and you won’t deliver any song with more soul, feeling, or passion. 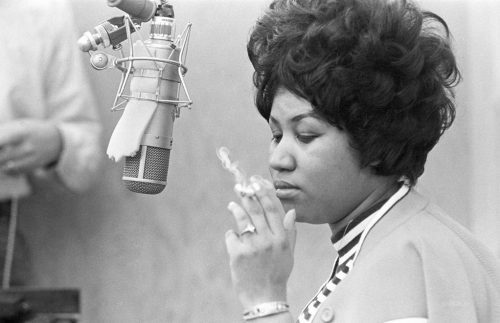 That’s not to say there aren’t talented soul singers who ably delivered this track; everyone from Etta James to Phoebe Snow has belted “Do Right Woman.” But if I want to hear the best singing in the world, I’m pulling out Aretha’s version every time.